Ways in which boys learn differently and the teaching methods which correspond with each difference – Christian boarding schools and alternative schools. Most parents will tell you that boys and girls learn and grow very differently. This is an observation that is actually backed up by science and research. 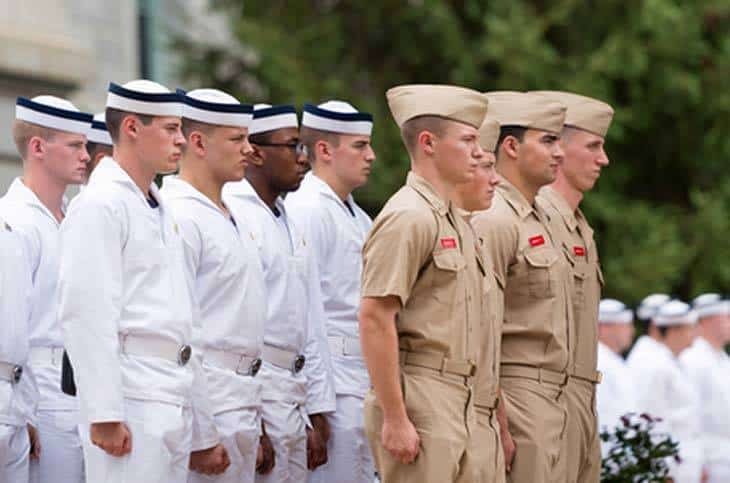 At military boarding schools, teachers are often well-educated in these differences and are trained to use techniques specifically designed to work best with boys. In this article, we will be covering five ways in which boys and girls learn differently and the teaching methods which correspond with each difference. The Difference: The cerebral cortex is an area of the brain that deals with a lot of the functions that have to do with academics, like memory, attention span, language, etc. In males, the cerebral cortex is dedicated largely to spatial functioning, where as a female’s cerebral cortex is focused to a greater extent on verbal functions. Teaching Strategy: Teachers in military boarding schools design lessons which make use of male’s preference for spatial learning. A lot of these lessons tend to be hands on and interactive, which keeps boys’ attention and teaches them lessons in a way which is most effective. Difference: Boys typically get much more restless than girls. Keeping boys active and moving around heightens their ability to remain alert, whereas girls can much more easily remain in one place for extended periods. Teaching Strategy: At most military boarding schools, teachers tend to stay away from lengthy lectures. Instead, teachers usually opt for more interactive lessons which include moving around and staying active. This keeps boys’ attention much more easily and employs a more kinetic approach which helps with their retention. Difference: As a rule, boys tend to be more competitive than girls, who prefer to work in ways which are collaborative. Teaching Strategy: Teachers have found that framing lessons or parts of lessons as competitions can cause boys to engage much more actively. These competitions can be extremely simple, such as challenging groups of students to race each other in an attempt to solve a problem. This simple twist makes lessons much more inviting for boys and keeps them interested. Additionally, it will teach boys skills and lessons like teamwork and critical thinking. Difference: Boys’ eyes tend to work best in bright, natural light. Girls, on the other hand, see better in lower light and in the evening. Teaching strategy: A lot of classes at military boarding schools are taught outside to take advantage of boys’ predilection for bright, natural light. By taking the science of things into account, boys are relieved from potential eye strain and taught in a way that makes things most comfortable and easy for them. This can also tie into other, previously discussed areas, since a lot of these outdoor lessons involve movement and spatial awarenesses. Difference: Boys usually are relational learners. Girls are not. What this means is that boys do better when teachers double as a mentor to the boys they work with. Teaching Strategy: Military boarding schools make it very important to maintain small class sizes. This allows students and teachers to get to know each other on a personal level. Outside of class, teachers usually hold regular office hours and participate in student activities, like clubs and athletics. Should you need help finding boarding schools for learning differences, therapeutic schools, and best boarding schools please let us know. Military schools offer structure, mentorship and a safe environment that limits distractions and temptations that can detract from academic and personal progress. Still, military schools are not always the right choice for every young person. While military schools offer structure, and academic and athletic discipline in a controlled environment, military schools are not intended to act as a rehabilitation program. Military schools want students who wish to prepare themselves for a future in a collegiate, military, or professional setting.